So just how can you do it all – and is that even possible? That’s where The Juggle comes in! The Juggle features a fabulous range of powerhouse mums, sharing their intimate thoughts, struggles, elations, successes and challenges in these raw, candid and often very funny interviews and essays. 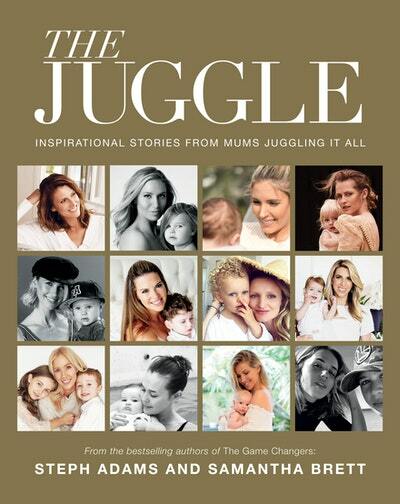 With intimate stories of what goes on behind the scenes of their seemingly picture-perfect lives, they’re here to let the mums of the world know they are not alone. And that, sometimes, something has to give. Featuring Megan Gale, Pip Edwards, Lisa Wilkinson, Teresa Palmer, Megan Hess, Natalie Barr, Bianca Rinehart, Melissa Odabash, Sally Obermeder, Kathryn Eisman, Noëlla Coursaris Musunka, Zoe Marshall, Tammin Sursok, Nikki Phillips, Elle Halliwell, Laura Csortan, Louise Roe, Chriselle Lim and more, with stories of motherhood they’ve never shared before. 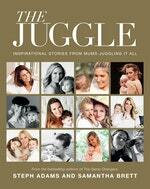 Love The Juggle? Subscribe to Read More to find out about similar books.